LONDON, UK, JUNE 18TH, 2014 — Piksel, a global provider of video monetization software and services, today announced the launch of its Digital Signage platform DS4 in Europe. Piksel’s DS4 solution empowers global organizations to deliver information to their workforce instantaneously, including the delivery of corporate news to the connected devices of remote workers. The rise of remote working has created an unprecedented communications challenge for global companies, who need to be able to share information with their staff in a quick and reliable way. Increasingly, organizations are looking to implement digital signage solutions, which enable them to reach their entire workforce with a unified message. Demand for such systems grew in almost every market segment in Europe in 2013, and a recent report from IHS predicted that the corporate sector will account for 704.7K displays in 2014. In order to meet this increased need for efficient, multimedia internal communications, Piksel has developed DS4, an end-to-end digital signage offering that enables organizations to design, manage, store and broadcast branded multimedia content. Piksel’s DS4 can deliver content to a wide range of mediums including digital screens, directional signs, corporate Intranets and remote staff’s Android or Windows mobile devices. The solution is available as a Software-as-a-Service (SaaS) or as an on premise platform. It can be combined with Piksel’s Online Video Platform (OVP) to streamline the managing and publishing of media assets. 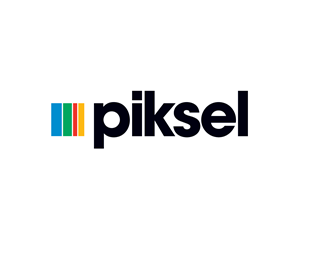 Able to integrate with existing architecture, Piksel’s DS4 provides a one-stop platform, which allows the delivery of live, VOD and OVP content to multiple devices. The content creation software embedded in the offering is particularly suited to any company interested in sharing company owned channel content to multiple end points, including the fourth screen. : Airbus –The integration of DS4, combined with Piksel’s OVP offering and a video library share within Airbus’s infrastructure, enabled the world’s leading aircraft manufacturer to place video at the core of its internal communications strategy. Vital content now reaches Airbus’ 119,000 strong workforce on every continent, through 500 screens installed in the group’s offices worldwide. : Axa – The world leader in financial services decided to use digital media to inform, motivate and engage its 160,000 employees in real-time. To enable the group to reach this goal, Piksel implemented DS4 to develop a 3D video website tailored for Axa’s employees, as well as an internal TV channel broadcasted to the 35 main offices in France. This allowed Axa to distribute customized TV programs locally as well as deliver branded content to 180 screens targeting 120,000 staff. : Kering – The holding company specializing in apparel and accessories, well known for its Gucci, Alexander McQueen, Stella McCartney and Puma brands, required an end-to-end system to distribute content to the 120 countries it serves. Deploying Piksel’s DS4 allowed the company to build its brand within the group by leveraging the power of video. Piksel’s DS4 enabled Kering to create a global corporate TV network distributing company news and automatically integrating external information feeds including Reuters news, weather forecast, and more from its Paris headquarters. Piksel will be demonstrating DS4 at the Internal Communication Conference on June 18th (Museum of London Docklands, London, UK).